Being the unusual sort of midwesterner that I am, it was only within the last year or two that I discovered the magical combination of strawberries and rhubarb. I suppose I was vaguely aware of the combo before then, but only recently did I decide to try it for myself. As I mentioned in my recent post about the granola crisp, I definitely see what all the fuss is about. 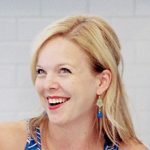 While I was literally licking the spoon clean, the inspiration for my next recipe was clear. Popsicles were a natural choice – the perfect vehicle for licking up every sweet bite of fruit! These have been a lovely treat to cool off with during the hot days we have been experiencing lately. 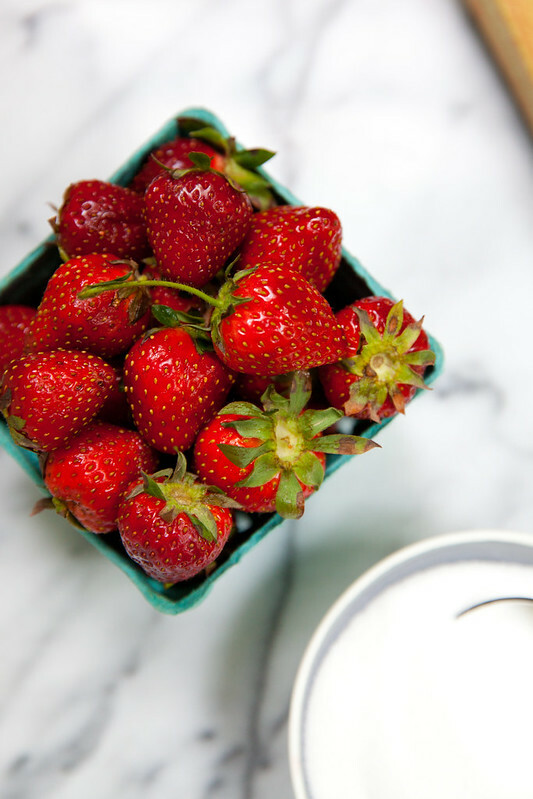 The slight tartness from the rhubarb adds a perfect balancing note to the sweetness of the roasted berries. In addition to enhancing the sweetness of the berries, roasting the fruit helps make it just the right consistency for turning into a delicious frozen treat. The texture has is substantial with chunks of fruit and not overly icy. 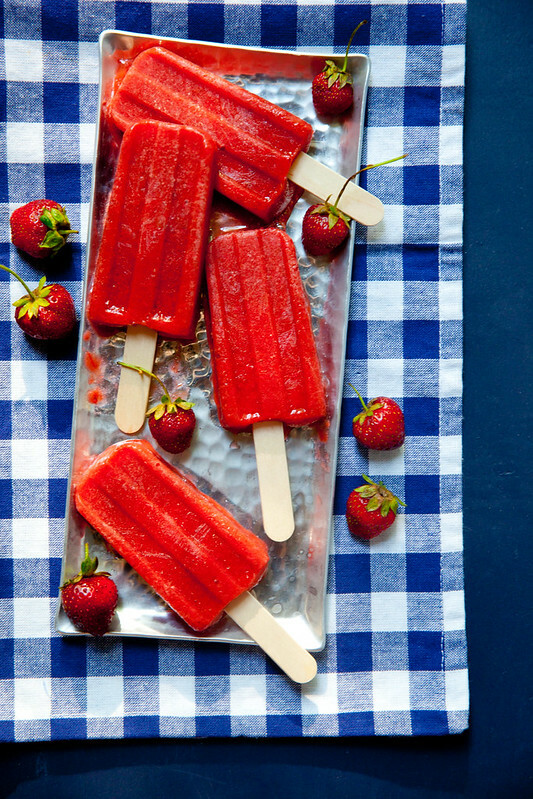 Grab some berries and rhubarb at the next farmers market and make these pops while everything is perfectly in season. Enjoy! 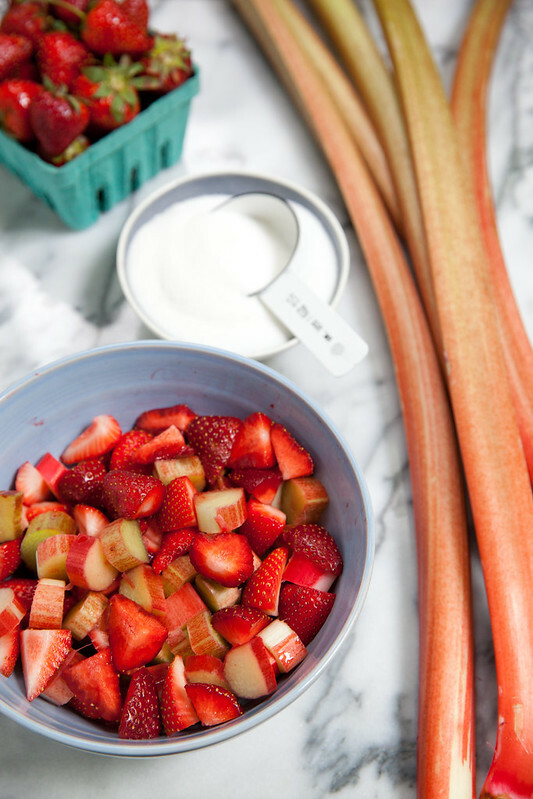 Heat the oven to 350˚ F. Combine the rhubarb, strawberries and sugar in a mixing bowl and toss well to combine. Transfer to a baking dish. Bake for 20-30 minutes, mixing gently at 10 minute intervals, until softened. Let the mixture cool to room temperature, then transfer to a blender or food processor. Add in the water and pulse until mostly smooth with just a few chunks. Pour the mixture into a popsicle mold and place popsicle sticks. Freeze until solid.